Update 27/10/2011: Mclaren is now also offering a 2-berth version of this model, without the front dinette; click here for details. 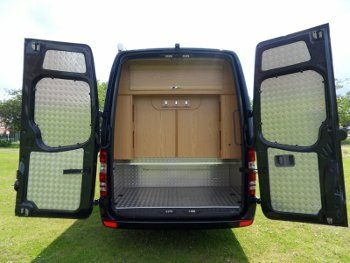 One of the reasons some motorhomers choose to self-build is that they cannot find a commercial conversion to suit their needs – most commonly the base vehicle or the cargo/storage arrangements are not suitable. 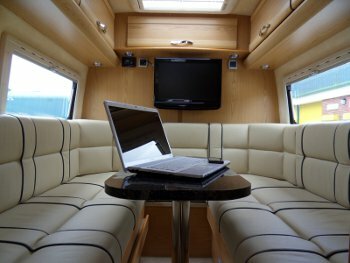 Obviously this approach is not cheap, but if getting exactly the conversion you want is important to you, one option is to commission a company that builds bepoke or customised motorhome conversions to build your van. This approach is probably more common in the worlds of motorsport and horse riding, where one van or lorry is often required to carry animals/vehicles and to provide living accomodation for several people. 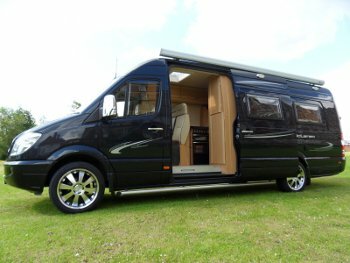 One company that bridges the gap between motorsports and motorhoming is Lancashire-based Mclaren Sport Homes. As the company’s name suggests, its main business has been in building sports homes – motorhomes for motorsports. However, in recent years it has carried out a growing number of motorhome conversions and has now combined this experience into a semi-production model (built to order) aimed at the top end of the PVC (panel van conversion) market. The Mclaren Shadow is built using a Mercedes-Benz Sprinter base vehicle, as are all of the company’s conversions. It can sleep four but I should think it is more likely to be attractive to couples seeking a luxury conversion for longer trips away. Mclaren are happy to build motorhomes to customers’ designs and each vehicle is built to order – so it would be possible to create a completely bespoke conversion or a modified version of the Shadow. 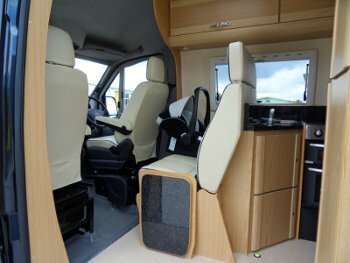 Mclaren motorhome conversions start at £15,500, in addition to the cost of the base vehicle. For a Shadow with the specification pictured and listed above, the conversion cost would be about £34,000+VAT. Visit www.mclarensporthomes.co.uk for more information and lots of pictures. I could not find a commercial conversion either , therefore , made a cheap conversion myself.